Need to Know is the result of many years research by a top authority into the worldwide involvement of military and intelligence agencies in the UFO problem. The author has uncovered a wealth of astounding new material proving that, rather than a ‘New Age’ fad, UFOs are the most highly classified subject ever, demanding unprecedented levels of security and deception. Several flying discs shot down by the U.S. in the late 1940s, resulting in an unprecedented wave of unexpained aircraft crashes. 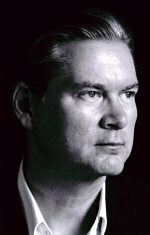 As Sunday Times defence correspondent James Adams wrote in his review of Beyond Top Secret, ‘The evidence that Good has amassed is too overwhelming to ignore and it is clear that a more open debate is long overdue.’ Taking the evidence dramatically further, A Need to Know will indeed stimulate a more open debate about this controversial, disturbing, yet exciting subject – the greatest secret on Earth. "This has to be one of the best books on this subject. Included within are 431 pages of secret official documents and the complete cover-up of UfO sightings that our government and other governments have hidden for years. 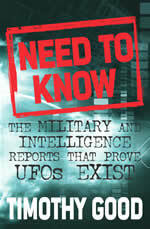 If you read no other UFO book this year this is the one you need to read." "Clearly the best book to have been published on this phenomenon in two decades."